February 25, 2019 (Maple Hill Syndicate) – “What did everybody get wrong this year?” my wife asked me at breakfast Sunday. It was a good question. I’ve been running the Derby of Economic Forecasting Talent, or DEFT, more or less annually since 1999. Contestants must predict six economic variables – gross domestic product, inflation, the interest rate on ten-year bonds, the price of a barrel of oil, the unemployment rate and the level of retail sales in December. When one of these variables moves sharply, most people miss it by a mile. In the contest just ended, 21 out of 22 contestants guessed too high for inflation in 2018. All 22 contestants guessed too high on the price of oil. That’s because people tend to anchor on the present level of each variable, or to engage in straight-line extrapolation. Price inflation, as measured by the Consumer Price Index, had run 2.1% in 2017, and the prevailing expectation was that it would rise. Instead, it dropped to 1.9% in 2018. The price of oil dipped to $45.41 a barrel at the end of 2018, from $60.46 when the year began. No one came close to foreseeing that plunge. Bob Wilmes, a retired information-technology director from Omaha, Nebraska, came closer than anyone else to the oil price: His guess was $51.50. What’s more, he thinks demand for oil will grow very slowly, as people turn to LED lighting, electric cars, and other devices that use less petroleum, or none. “I have an electric Prius myself,” he says. Wilmes also scored points by nearly pinpointing U.S. retail sales as of December 2018. He guessed $505.55 billion; the actual number was $505.83 billion, up less than 1% from the year before. Why did he guess that retail sales would be up only by a smidgen? “The Fed drives everything,” he says, and the Federal Reserve was “upping interest rates” in 2018. He expects the Fed to go easier in 2019, and is also hoping for a U.S.-China trade deal. Accordingly, he is “pretty upbeat” about the outlook for this year. In second place was Sebastian Ciccullo of Hillarys, Western Australia. He got his points mainly by coming within seven basis points (0.07%) on the interest rate for 10-year government bonds. Ciccullo didn’t give his occupation, and I was unable to reach him by phone and email Sunday. Third place was a tie among three contestants. Charles Henry is an executive in the printing business from Greensburg, Pennsylvania. Lorraine Terrell is an insurance underwriter from Omaha. Jesse Plummer is a surgical technologist in Houston, Texas. For his victory, Wilmes will receive a plaque. Second and third place carry no prize but glory. In the Derby, a contestant who guesses one of the variables most closely gets three points. Second place gets two points and third place one point. Since there are six variables, the theoretical maximum is 18 points. No one comes close to that score in practice, though. Wilmes won with seven points. Would you like to enter the DEFT contest for 2019? Everyone is welcome, from professional economists to plumbers. To enter, please provide your name, occupation, address, and phone number. The phone is important in case you win and I want to interview you. Then answer my six questions. The rationale behind your guesses is appreciated but not required. U.S. gross domestic product grew 1.9% in 2018. How fast will it grow in 2019? Inflation, as measured by the Consumer Price Index, was 1.9% in 2018. What will be the inflation rate this year? The interest rate on a ten-year government bond was 2.65% as 2018 ended. What will it be when this year draws to a close? A barrel of West Texas intermediate oil cost only $45.41 when last year ended, though it has since climbed to $55.80. What will it be at the end of December? Retail sales inched up to $505.83 billion in December 2018 from $502.22 billion a year earlier. How much will consumers buy in December 2019? Unemployment fell two tenths of a percent last year, ending at 3.9%. What will be the unemployment rate on December 31, 2019? 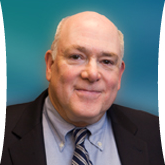 Email entries to John Dorfman at jdorfman@dorfmanvalue.com, or mail them to John Dorfman, Dorfman Value Investments, 379 Elliot Street, Suite 100 H, Newton Upper Falls MA 02464. Entries must be postmarked or time-stamped by Saturday March 30.